Sydney's Aboriginal Medical Service has waited thirty three years for a new centre in Redfern. This month it opened its doors with the help of a major donation from Sister Pat Durnan "
Sydney's Aboriginal Medical Service has waited thirty three years for a new centre in Redfern. This month it opened its doors with the help of a major donation from a nun. Sister Pat Durnan sold her home for $145,000 to donate to the service which had been looking for Government help since the 1970s. The Aboriginal Medical Service (AMS) is adjacent to St Vincent�s Church. The Federal and NSW State Governments finally provided funding for a purpose built clinic but AMS chief executive, Naomi Mayers said it wasn't enough. Money was needed to pay for medical equipment, furnishings and renovations on some of the older buildings. For this AMS relied heavily on donations from the general public. Pat Durnan, who worked with the Redfern community for three decades, came to the rescue. She sold her home which was owned by her family and her order, the Missionaries of the Sacred Heart. "I sold my house in Araluen for $145,000 and gave it all to the Aboriginal Medical Service. It was a bit hard to do, because I knew one of my family needed money but I had to trust in God looking after that", she said. 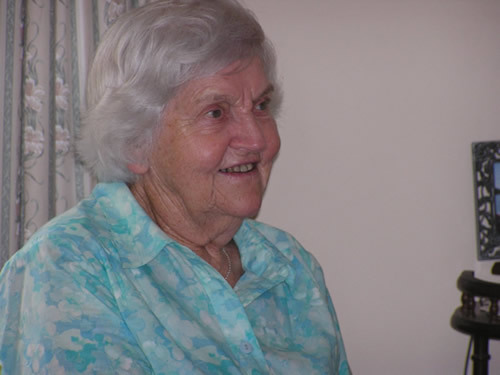 Over the years Sister Durnan worked closely with former St Vincent�s Parish Priest, Ted Kennedy, who helped give the AMS its start. The chief executive and a founding member of the AMS Naomi Mayers, said without Father Kennedy's help it would have been difficult to expand the service, which started in a small shop in 1971. "We outgrew our first place and we were running around trying to get money from the Government for a building but it was Ted who let us use the old St Vincent�s school, so we moved into that," she said. Father Kennedy opened up the old buildings, rent free. That decision was later overruled by the Catholic Church hierarchy, said Ms Mayers. 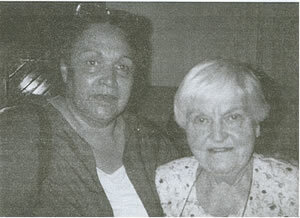 "So Shirley [Aboriginal elder Mum Shirl] organised for us to go in and fight the decision. Ten of us went and stormed the bishops' conference. When we got there, it was after lunch... we got taken out back, had a meeting with a few of the bishops... and they approved us a lease for one dollar a year," Ms Mayers said. The deeds to the land and buildings were handed over to the AMS and since then they have operated an award-winning medical service from the former school. They needed a purpose built centre and spent years lobbying. Funding was recently approved and the AMS will now officially open the new centre in December. It has a medical and dental clinic, a drug and alcohol unit, a public health and aged care program as well as office space for administration. While the centre was being built the AMS operated from old hospital buildings in Zetland. The Medical Director of the AMS, John Daniels, said the new building would let them deliver better quality care; the other building was too small. "It was simply a matter that we had too many staff in a building that was built as a school not a medical centre," he said. There are 130 similar services in Australia and Sydney's Aboriginal Medical Service treats the most patients but it is the second worst funded service in the country said Ms Mayers. She has spent more than thirty years working to improve Aboriginal health and this new building represents an important milestone. "We were the first service set up in Australia and out of all the major services in Australia we were the last one to get a building - our own building," she said. The service is now operating from its new premises. The official opening will be on December 3. 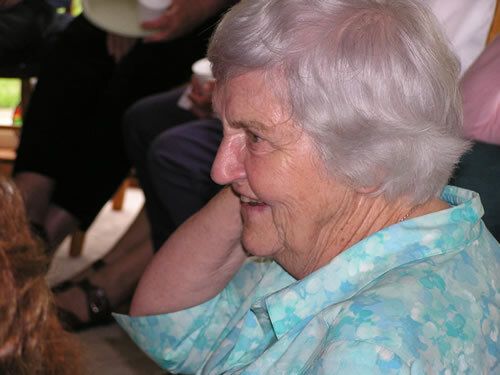 Sister Pat celebrating 50 years as a nun in February 2005.